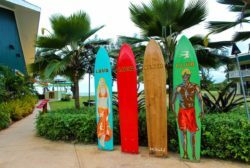 If you’re planning to stay in a Kauai oceanfront resort condo and visit Kauai, then you have plenty of luau-themed events from which to choose. The challenge is selecting which luaus to enjoy during your getaway adventure. Here’s the lowdown on the best venues on the island, along with some basic information to help you decide. What Is a “Luau,” Anyway? A luau is a celebration that involves feasting, dancing, and music. The luau has been a central focus of island culture for centuries. Some of the more popular dishes served during these grand events are salmon, pork, squid, sweet potato, poi, and tropical fruits. Luaus range from casual to formal, depending on the host and the desires of the guest. Luau entertainment includes musicians playing traditional instruments like the ukulele, native dancers, and, often times, a skit or play. Whether this is your first visit to Kauai or your 100th, the luau is an essential part of the Hawaiian experience. Luau Kalamaku. This must-see experience is located on the east side of the island. It begins with traditional Hawaiian games and craft demonstrations followed by a sumptuous banquet. As you dine, musicians and hula dancers will amaze you with their skills. When the sun goes down, performers take to the stage to act out the Hawaiian folktale of Kalamaku, which describes the danger-filled journey of the ancient Polynesians from Tahiti to Kauai. Smith’s Tropical Paradise Luau. The sounding of a ceremonial conch signals the beginning of this marvelous celebration. Attendees can fill their plates an endless number of times from the buffet, which features a mix of traditional and Western foods including salmon, mahi-mahi, beef and chicken dishes, macaroni salad, and a great selection of vegetables and desserts. After dinner, you’ll enjoy widely varied entertainment that includes dance, music, and drama. Pa’ina ‘O Hanalei. 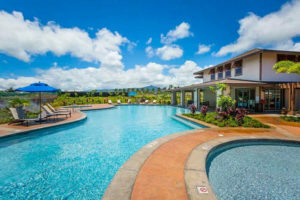 From your choice seat along Hanalei Bay, you’ll partake of a sumptuous feast that features grilled poultry and fish, fruits, vegetables, and salads, along with scrumptious desserts like pineapple cake. 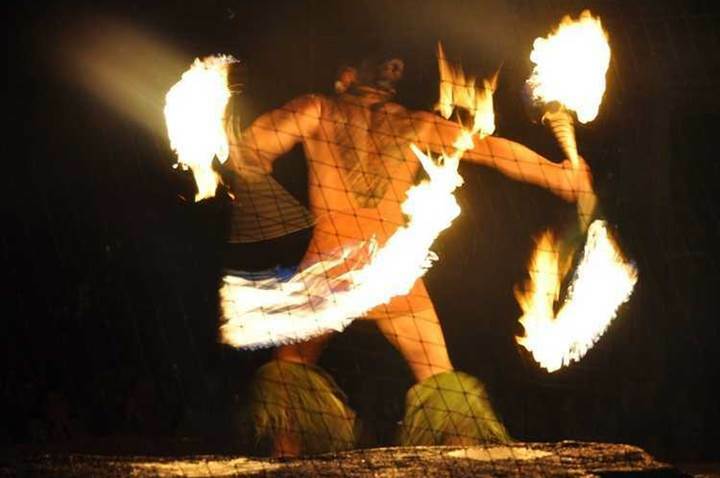 After your meal, talented performers will treat you to live music and fire dancing. Mediterranean Gourmet Luau. This event is sponsored by Mediterranean Gourmet Restaurant, Kauai’s most acclaimed dining venue. Along with some of the best cuisine found anywhere, you’ll have a chance to enjoy a full-featured evening of tropical entertainment. 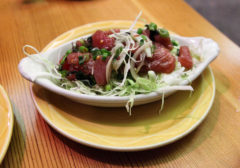 This luau is popular with both locals and visitors, so we recommend making reservations well in advance. 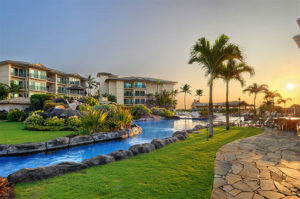 Whether you attend one luau or all of them, at the end of the evening you’ll want a comfortable, inviting place to kick off your shoes and get a great night’s rest. That’s where we come into the picture. 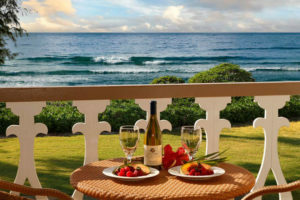 Check out the Waipouli Beach Resort to stay an amazing beachfront condo on Kauai!